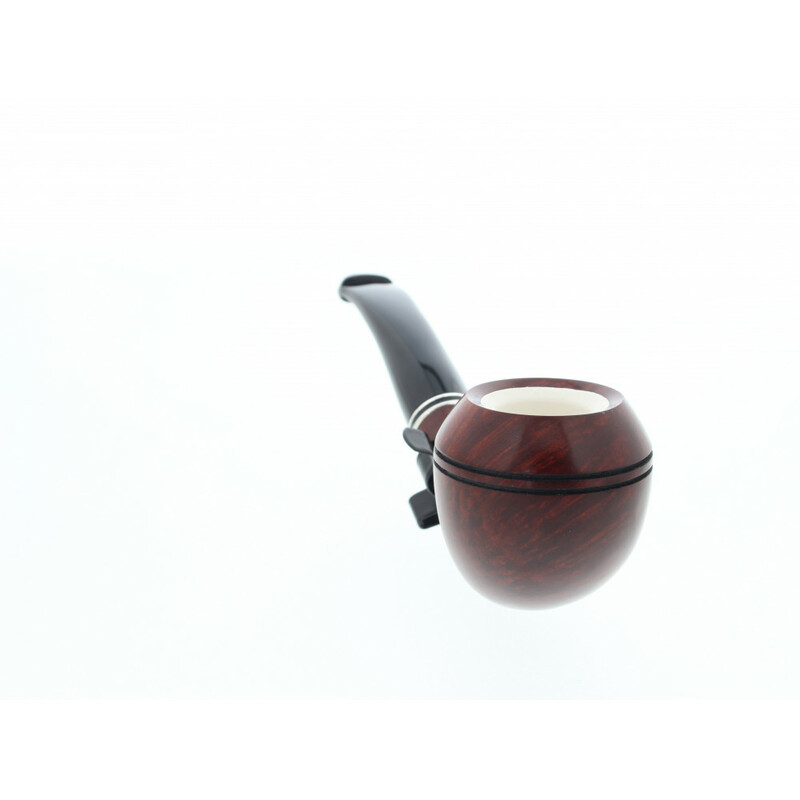 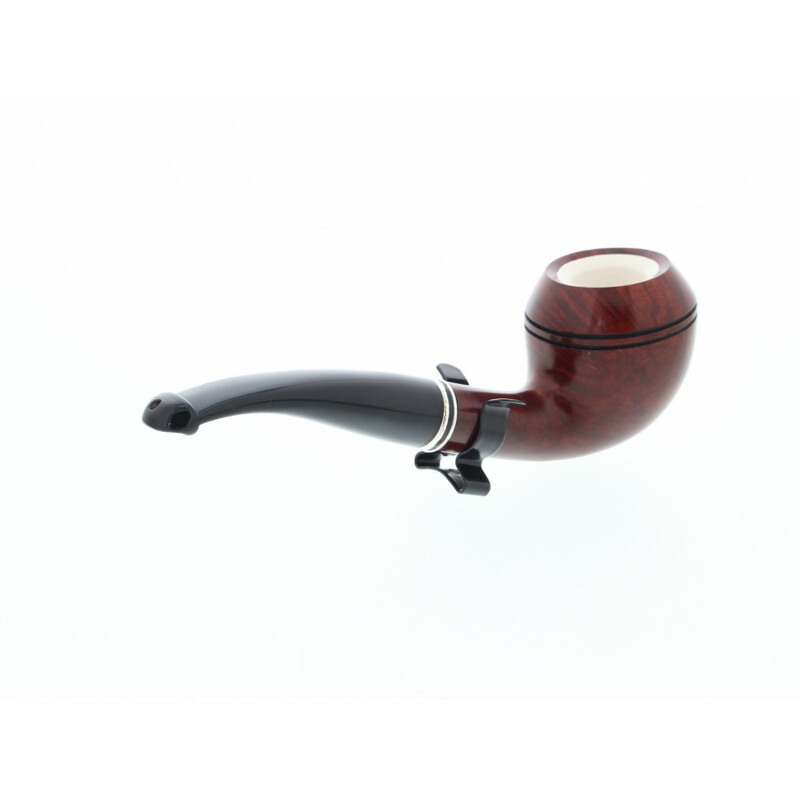 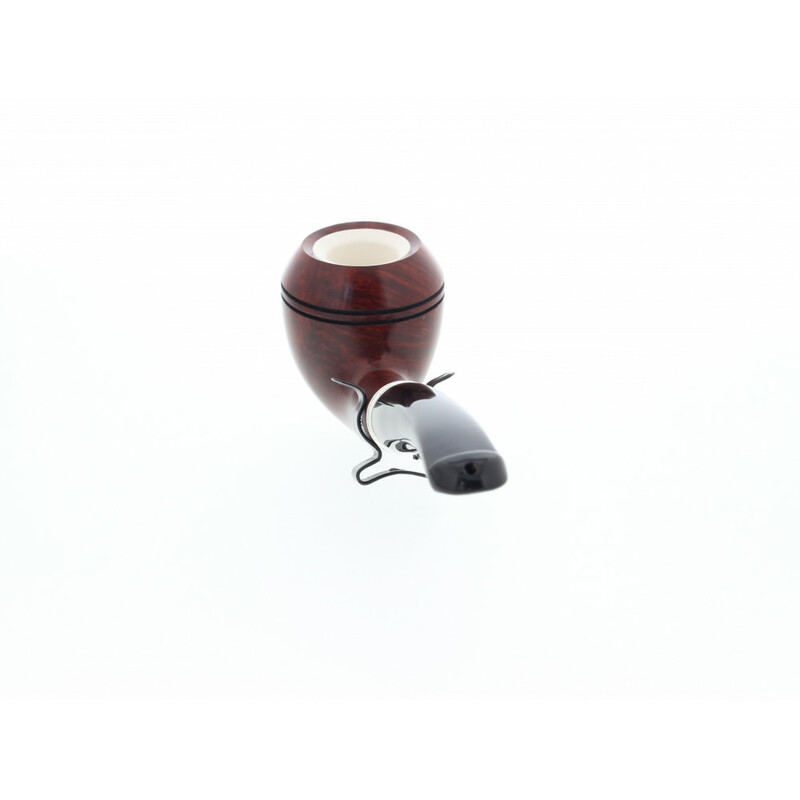 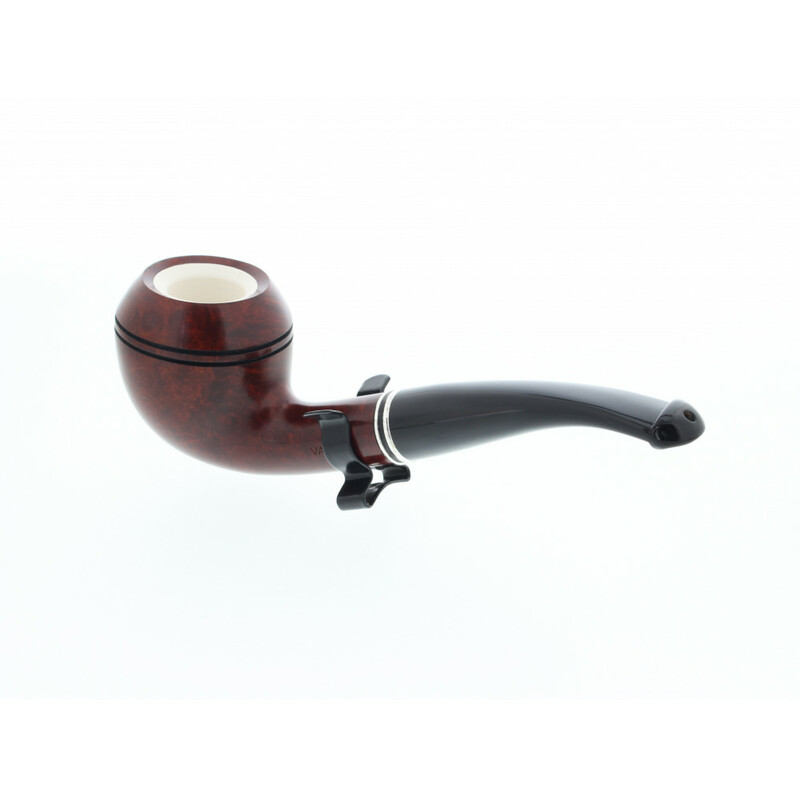 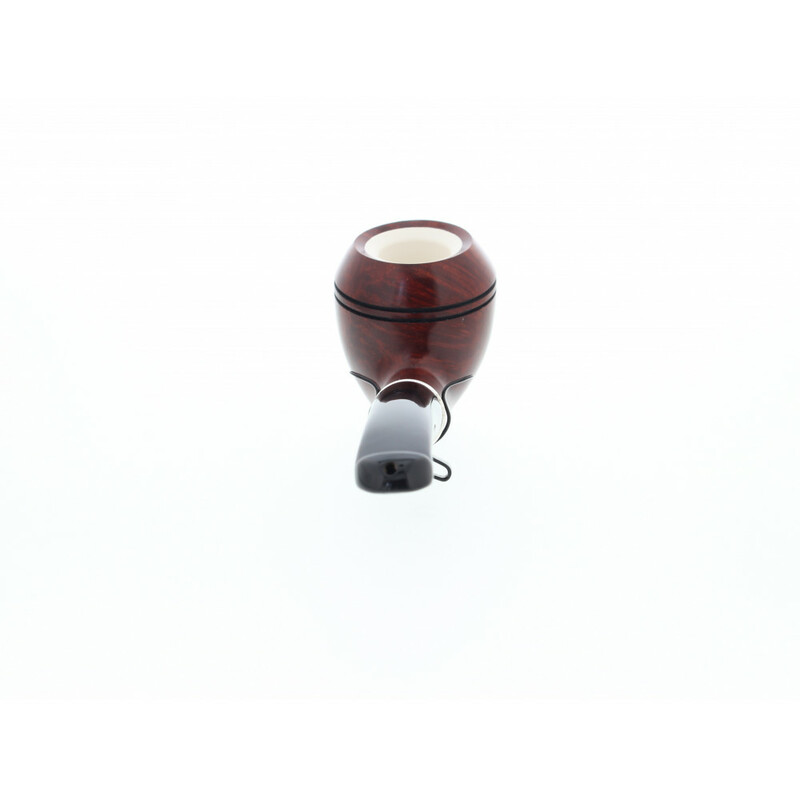 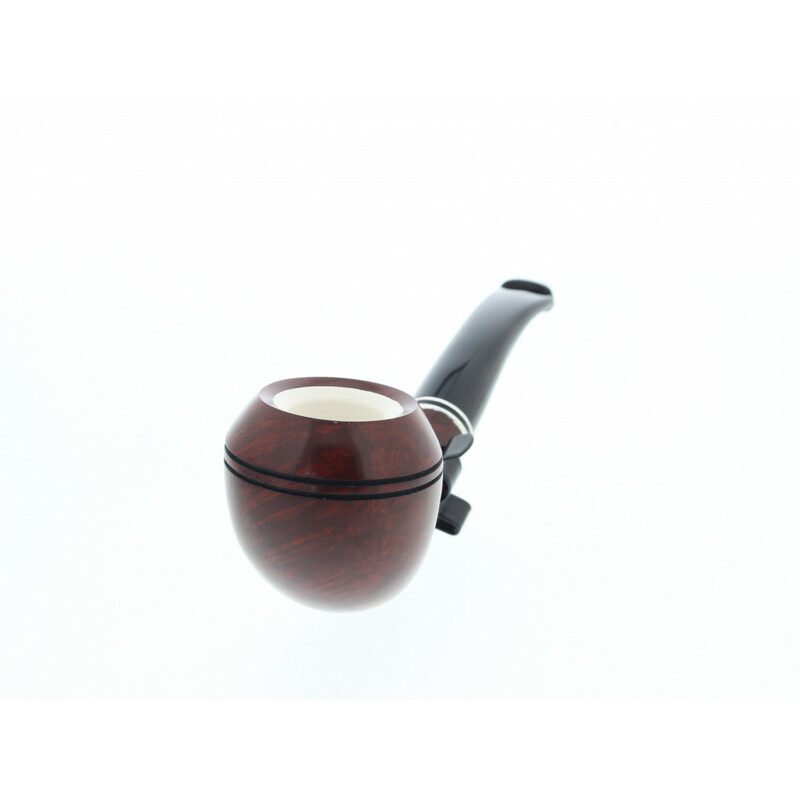 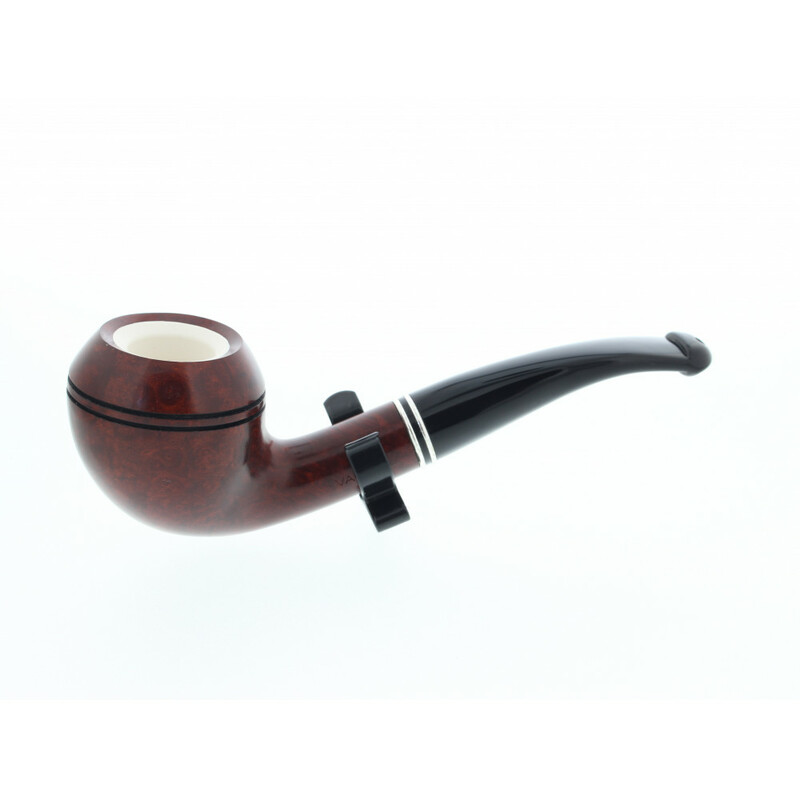 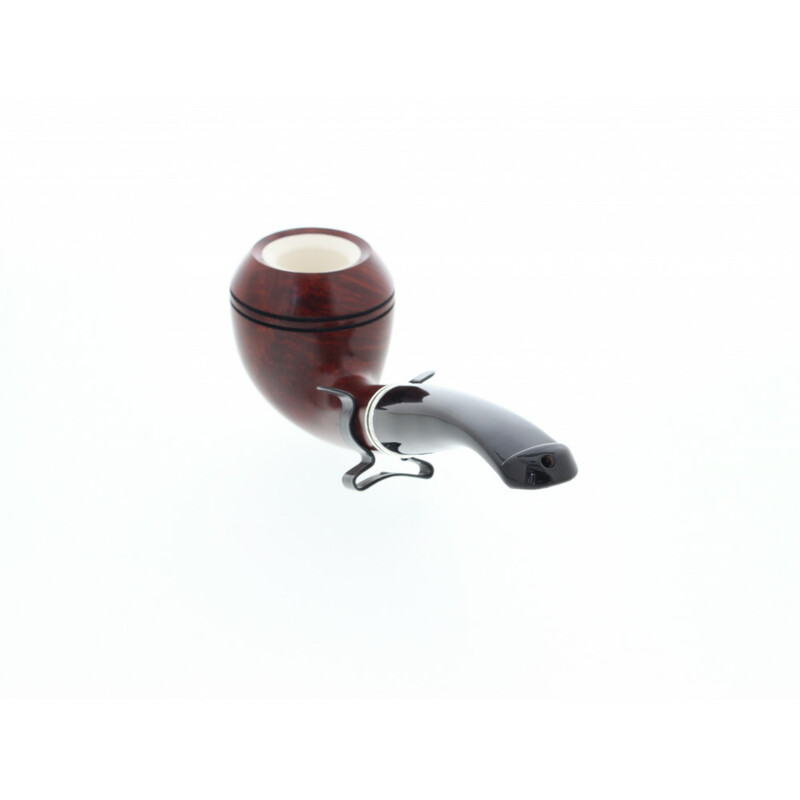 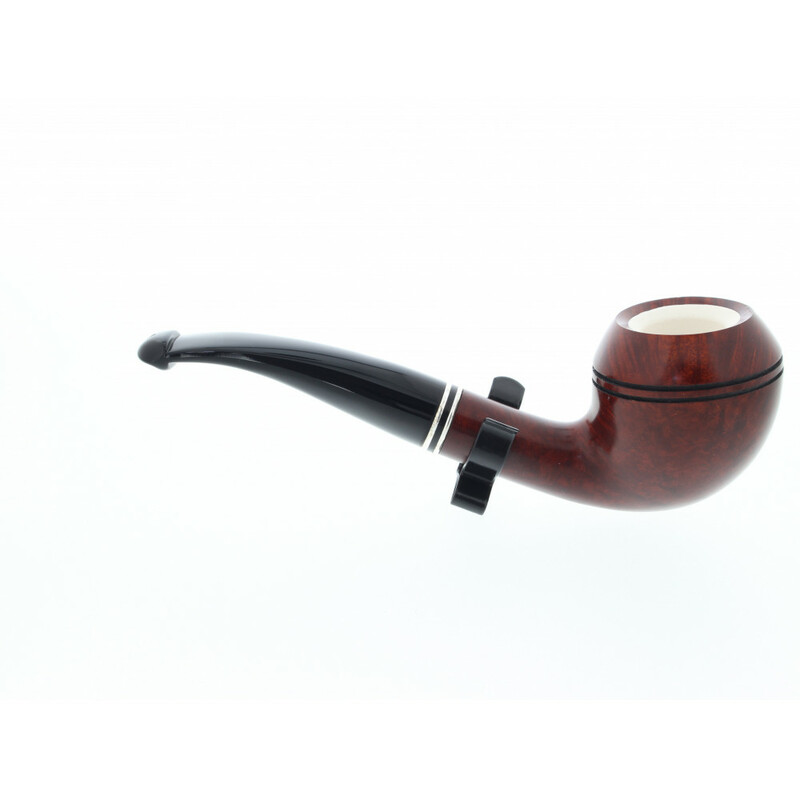 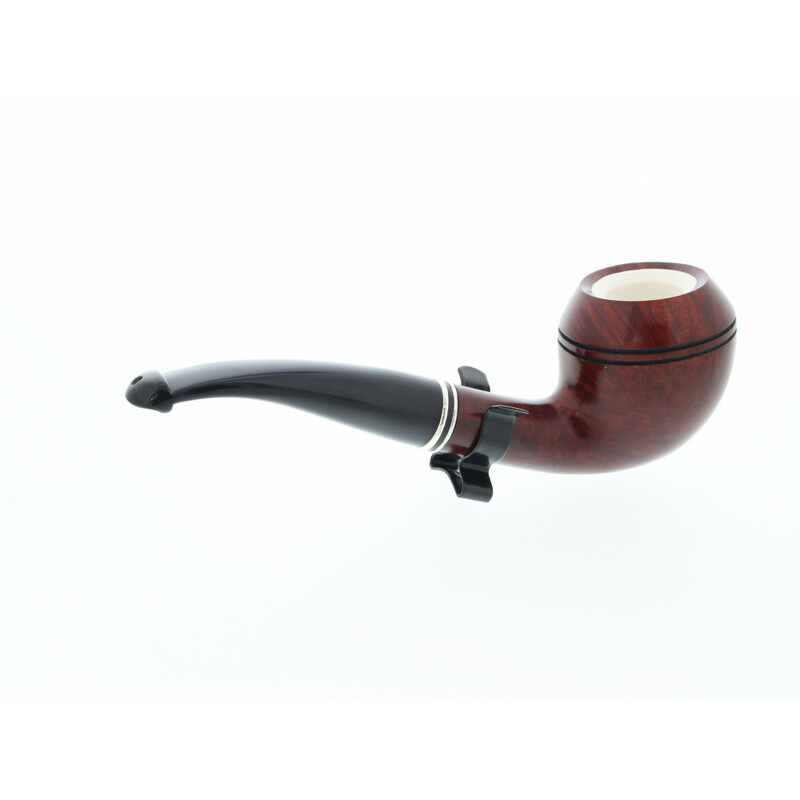 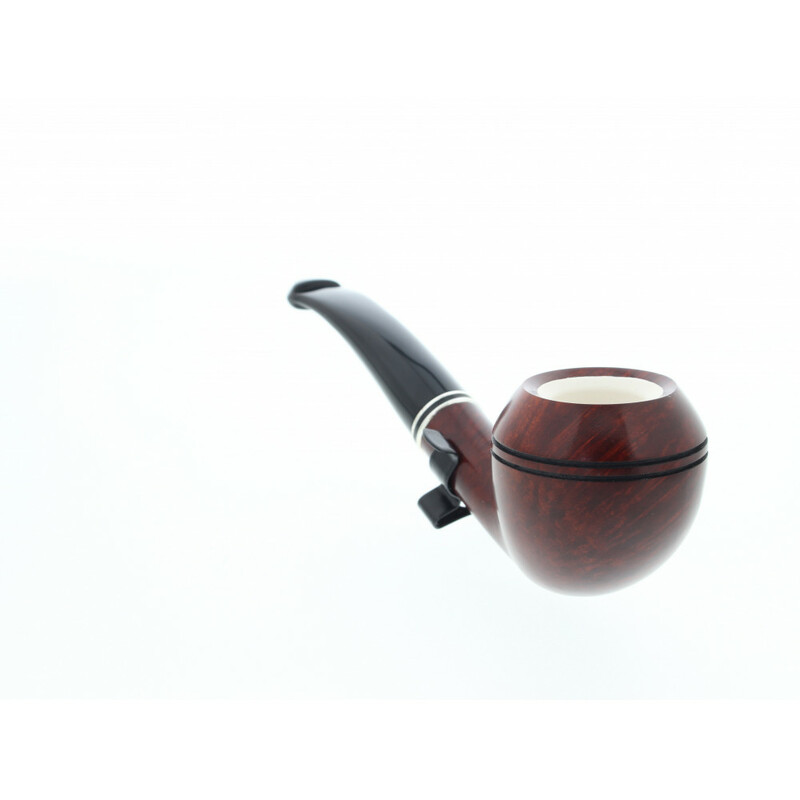 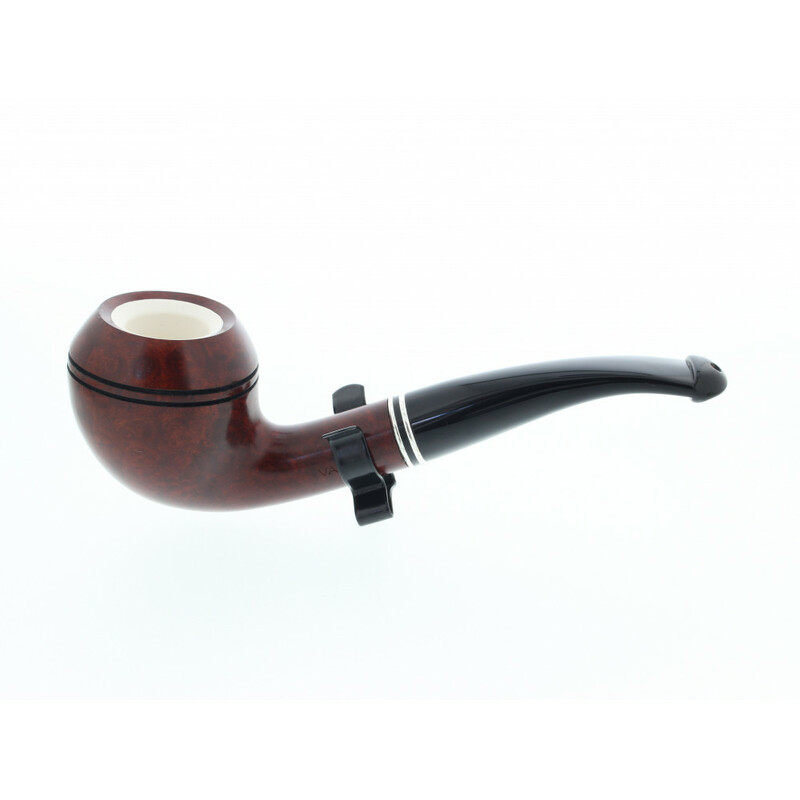 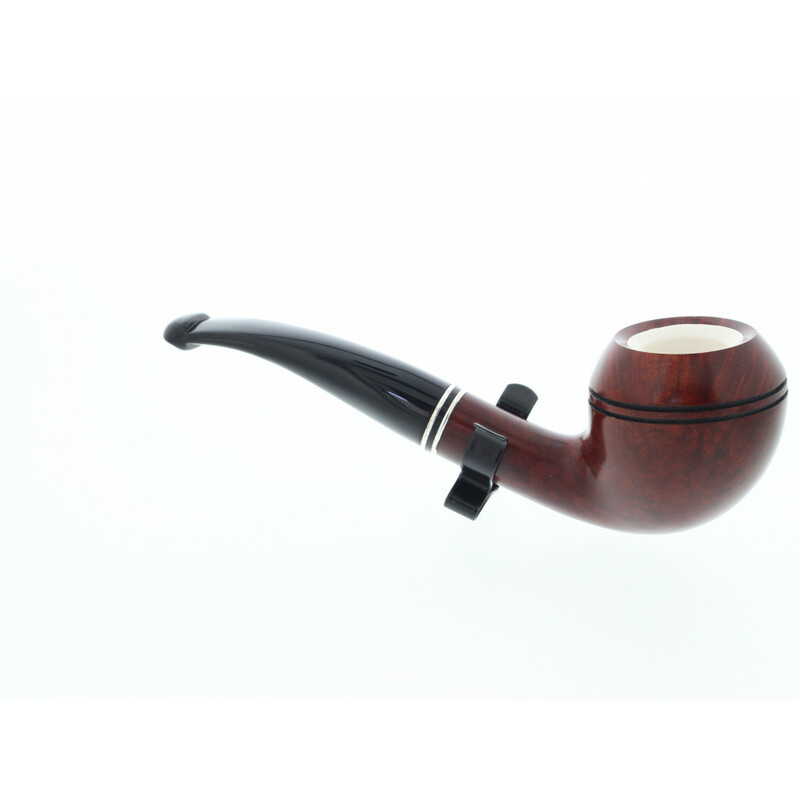 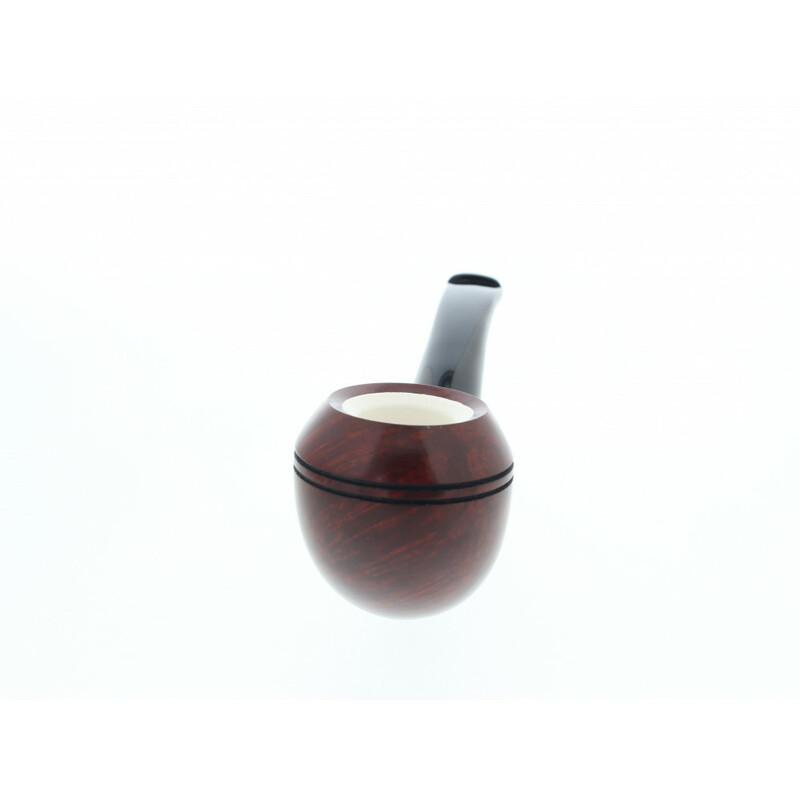 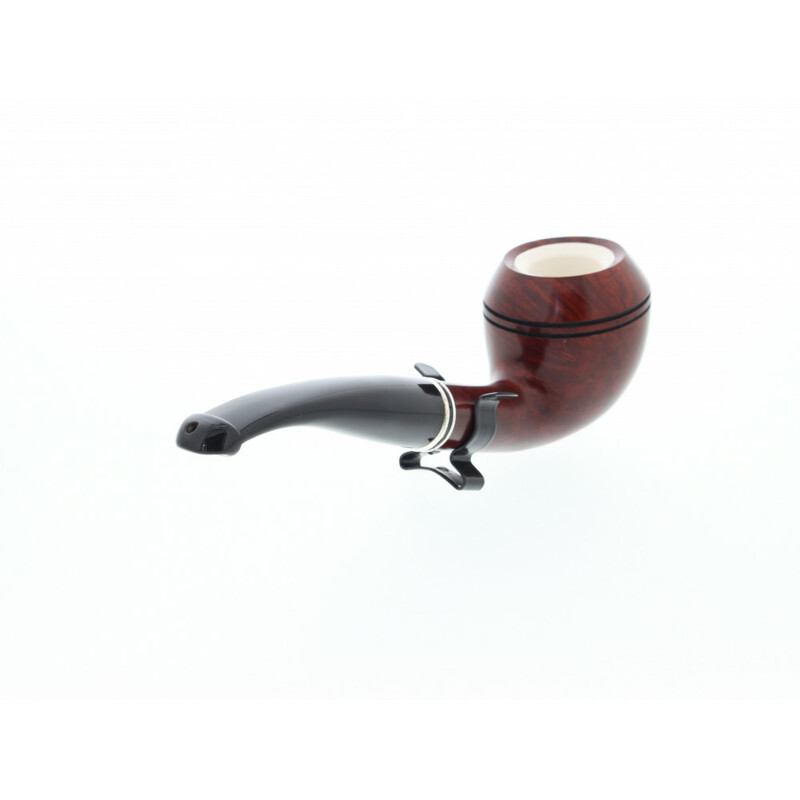 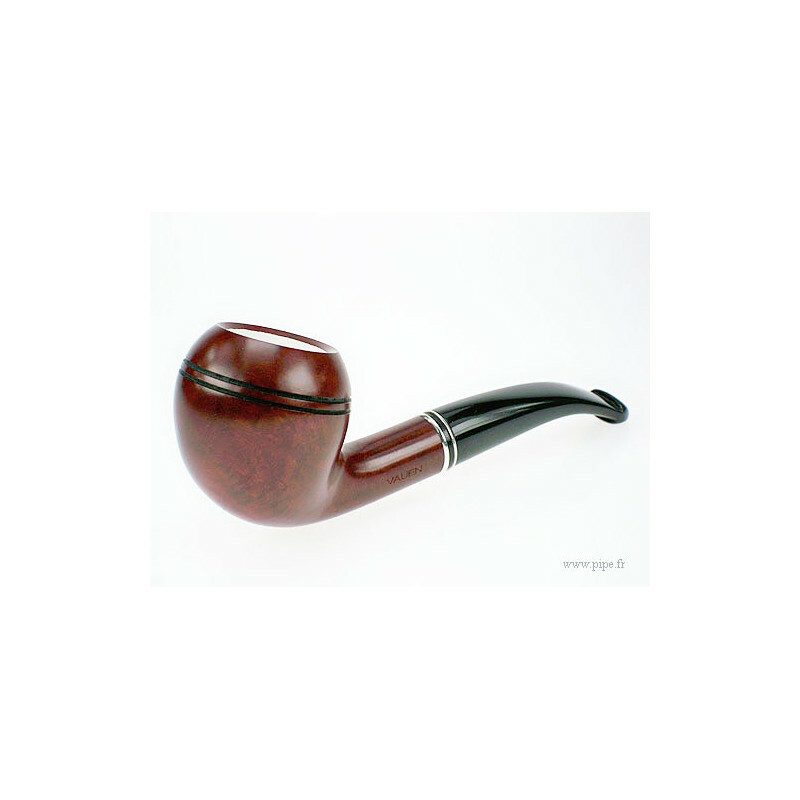 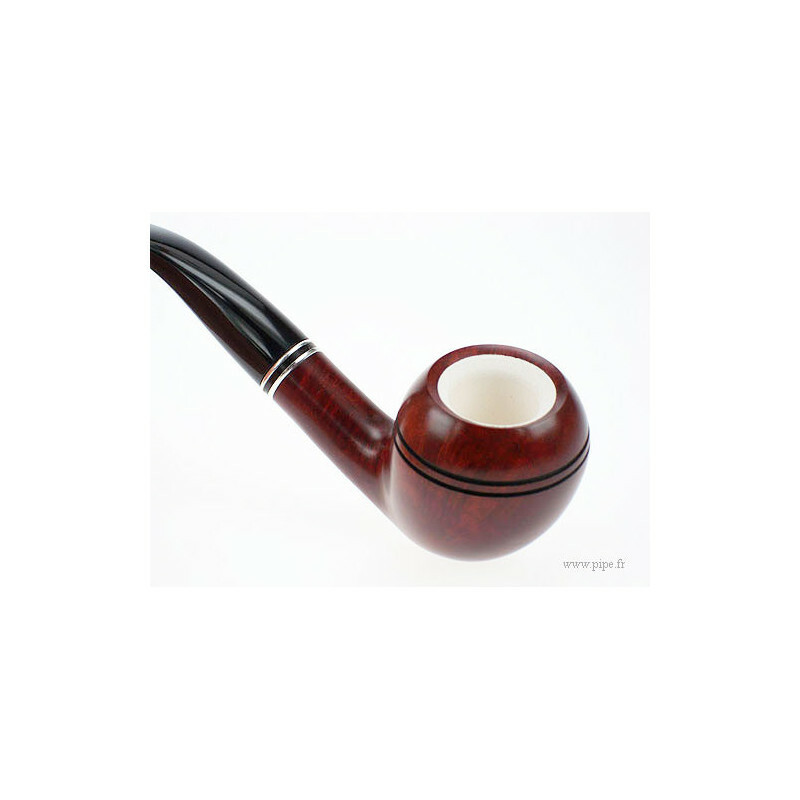 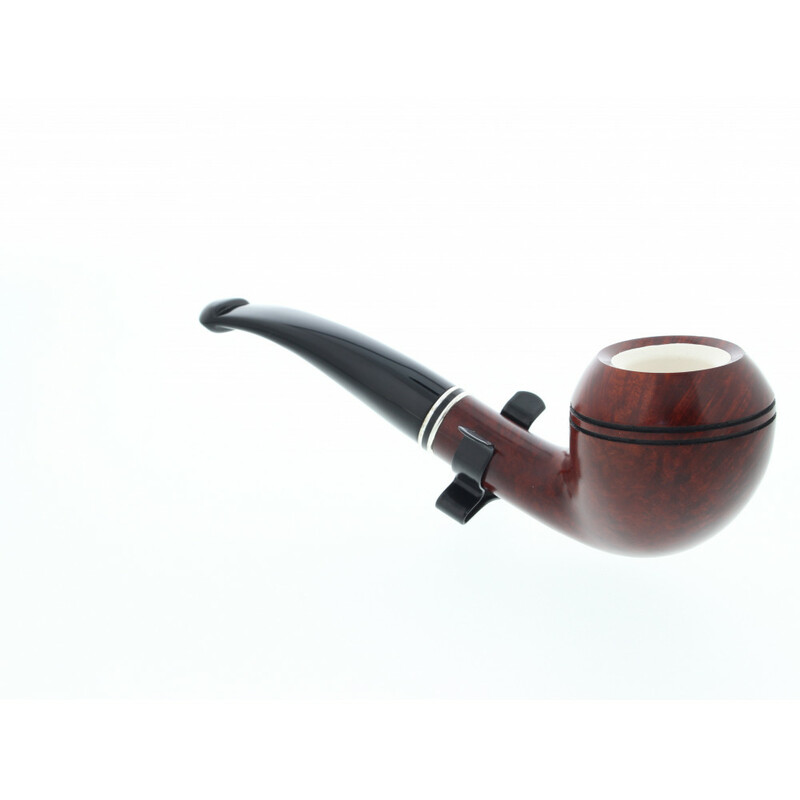 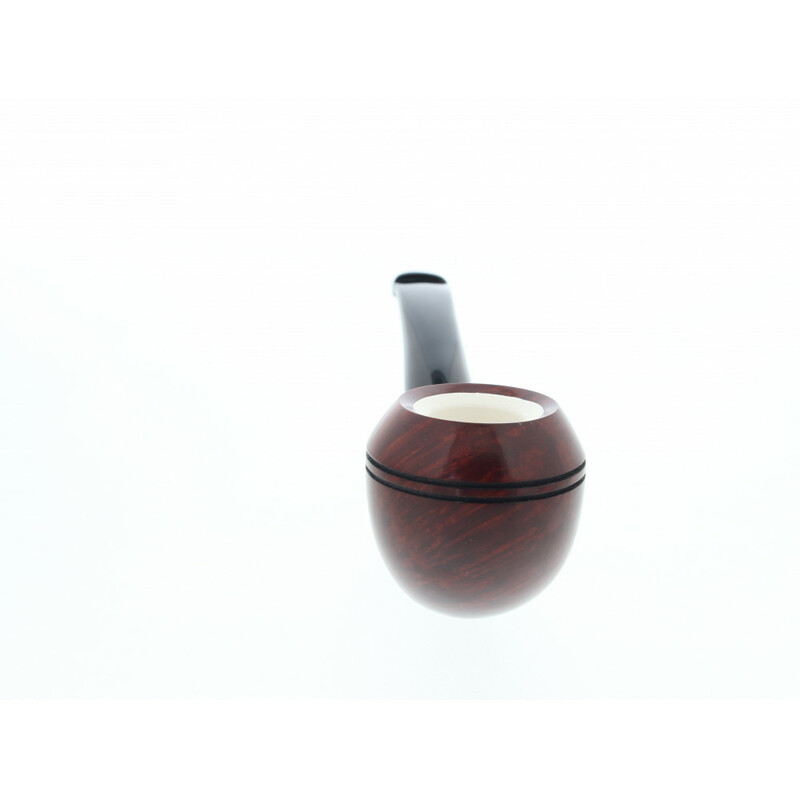 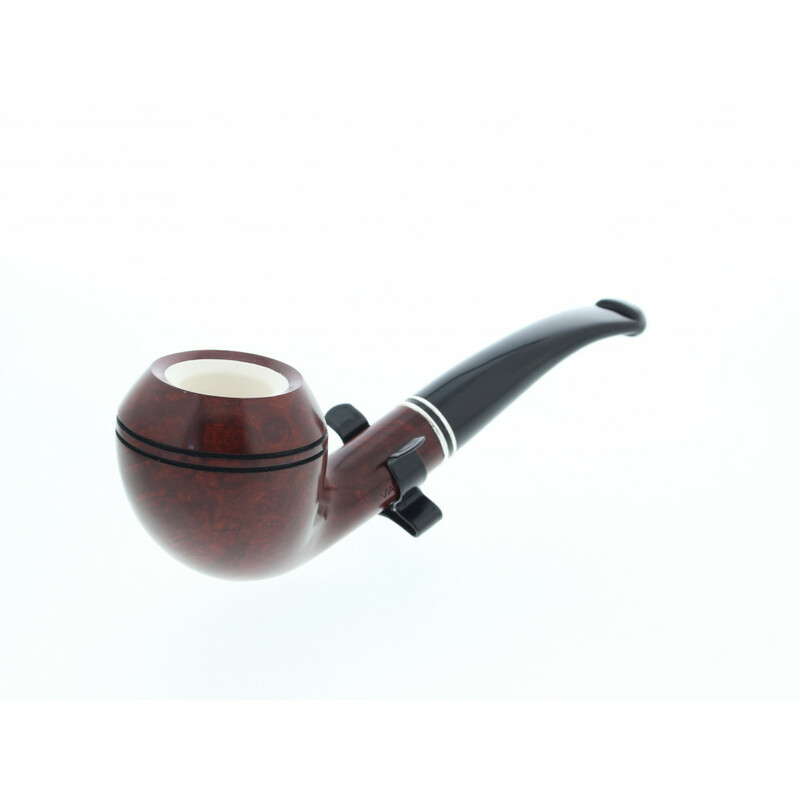 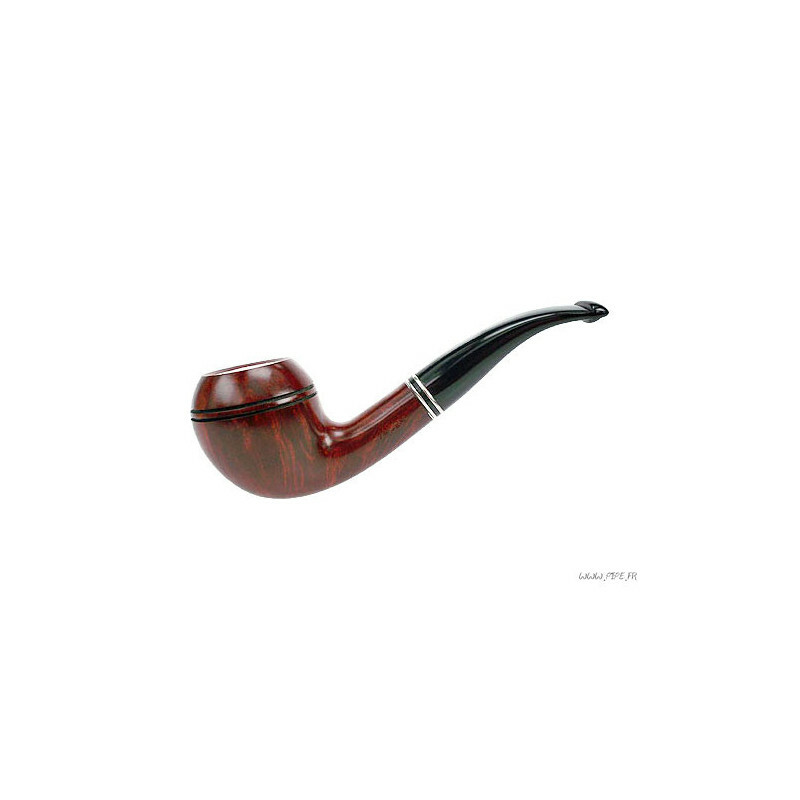 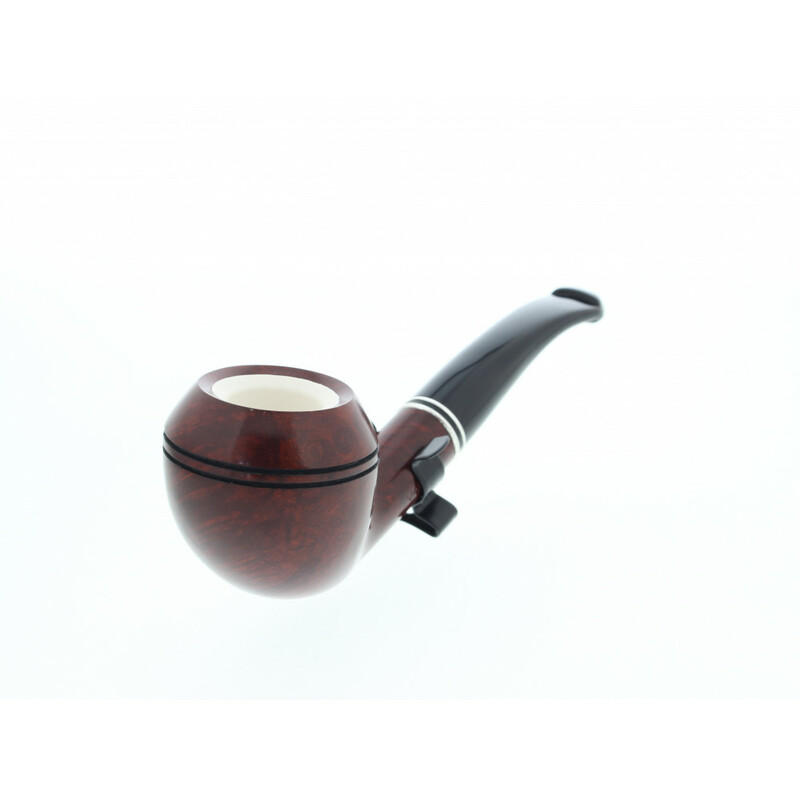 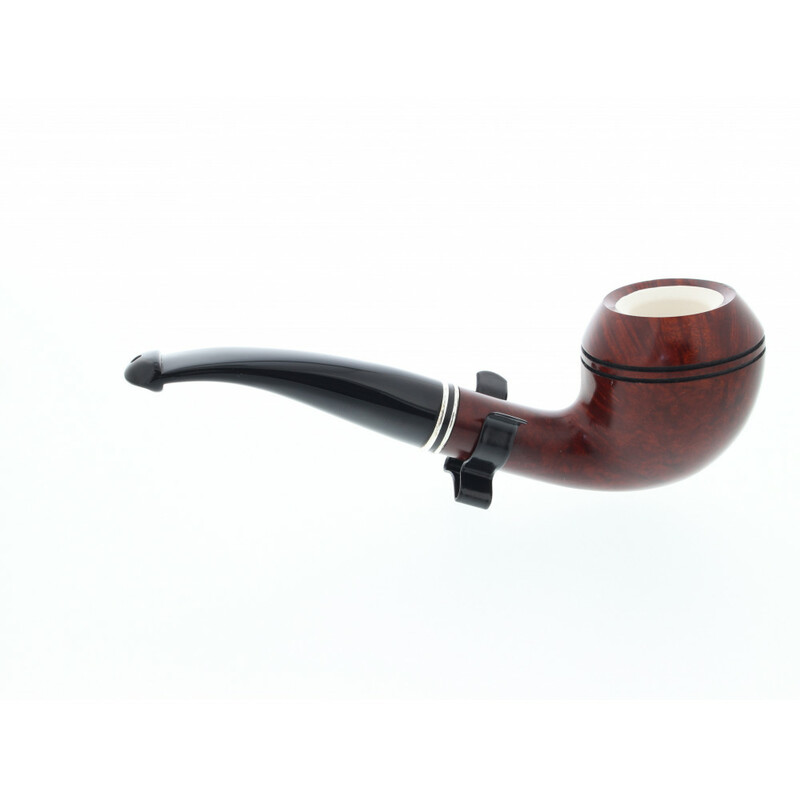 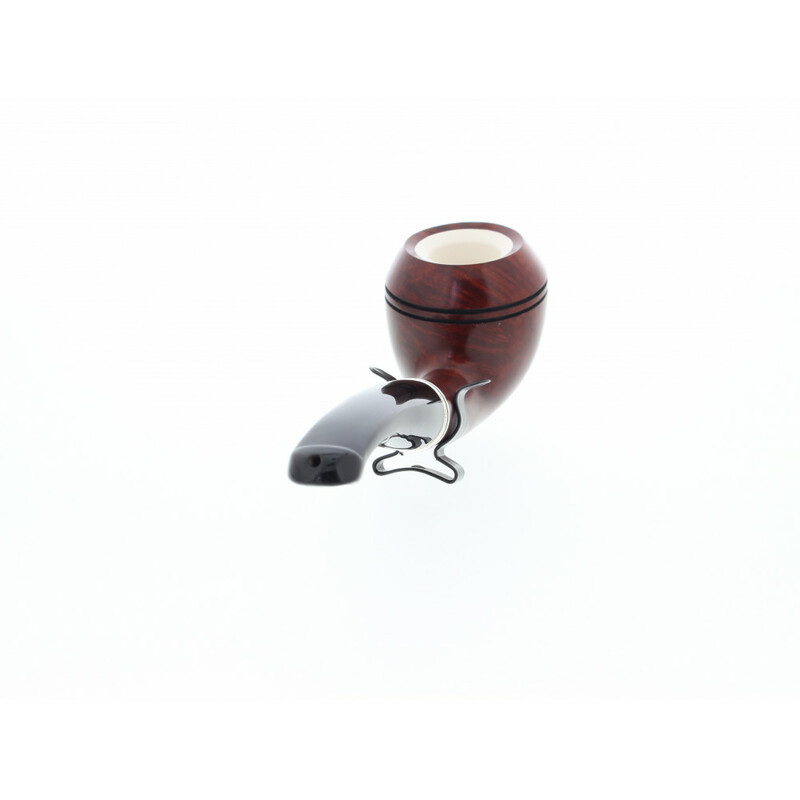 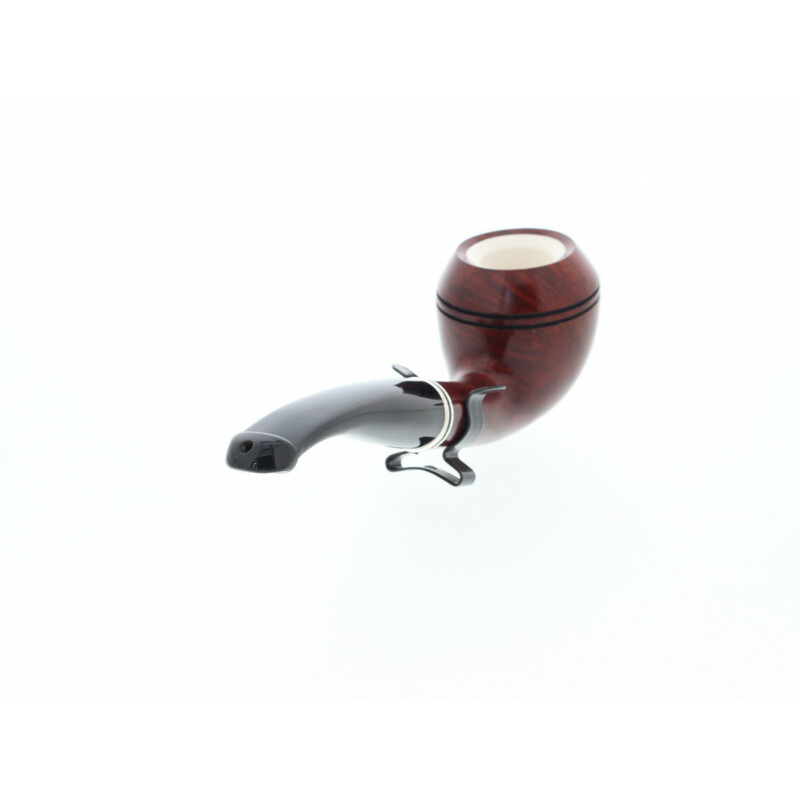 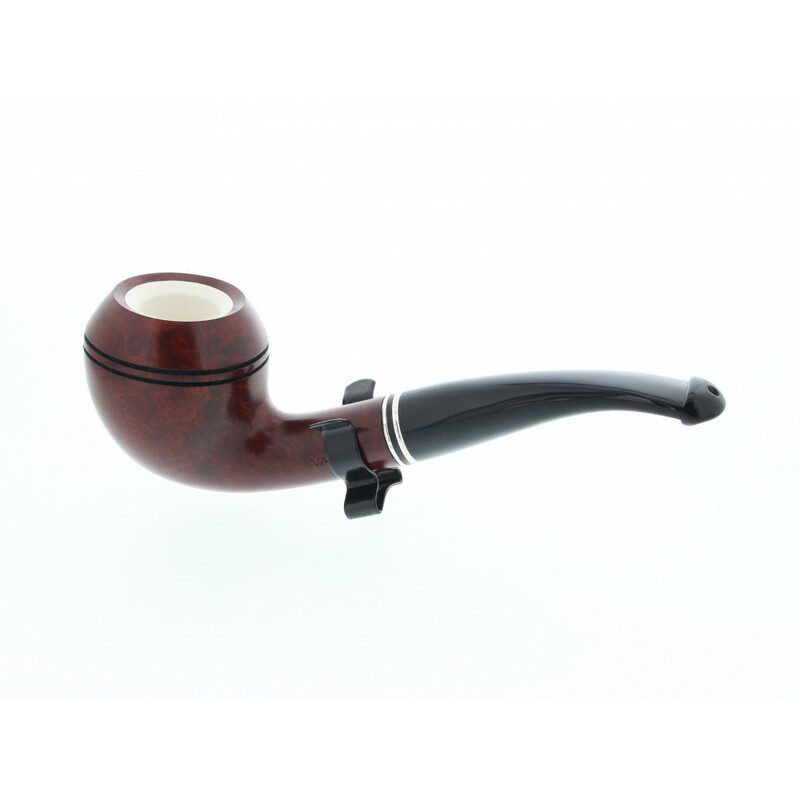 The briar wood bowl is lined with meerschaum in order to strengthen the pipe againt heat. 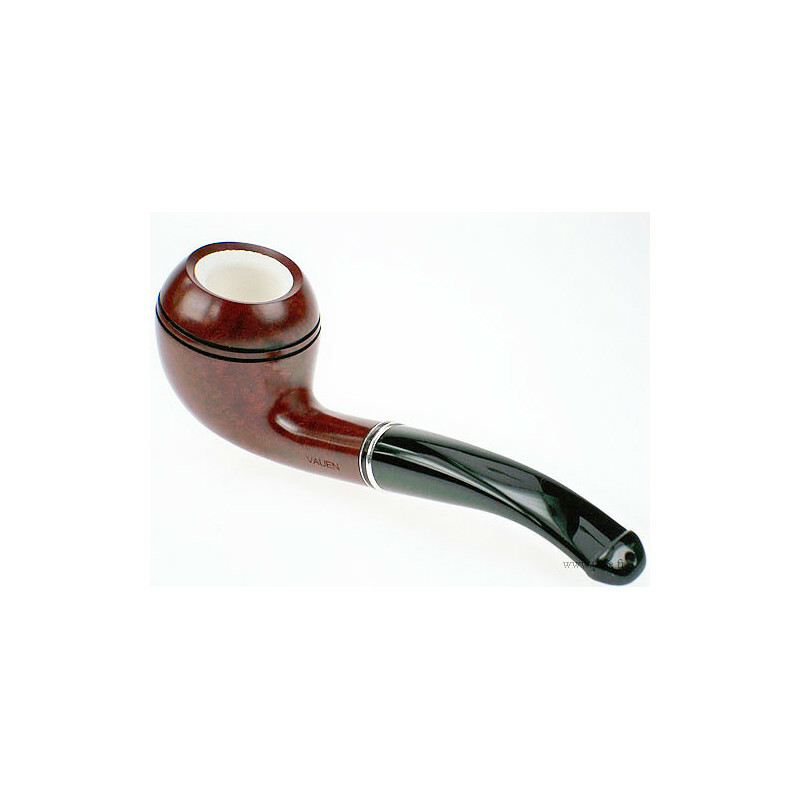 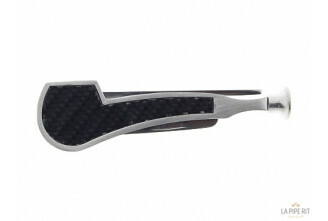 The P-Lip system reduce the tongue bite, the smoke is directed toward the palate instead of the tongue. 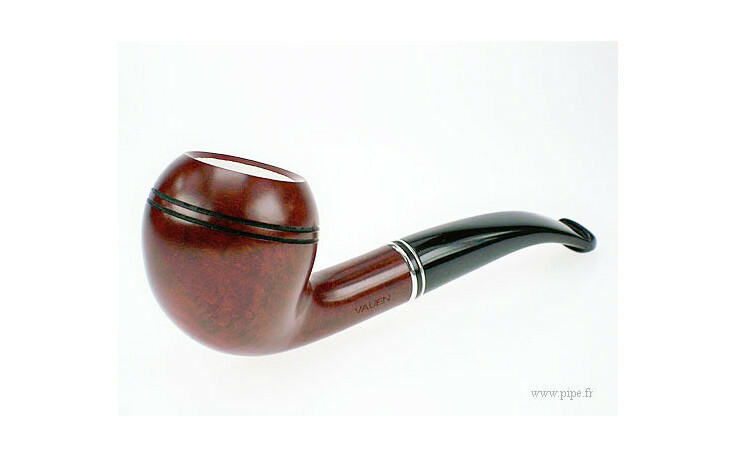 A wide silver-ish ring ornate the stem. 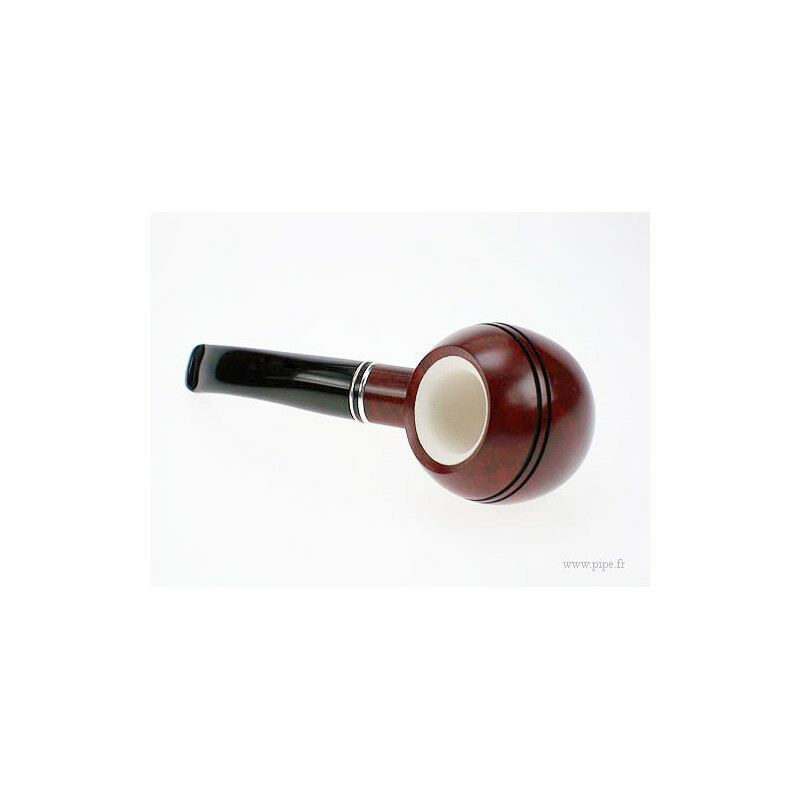 The taste of meerschaum paired with P-Lip system.